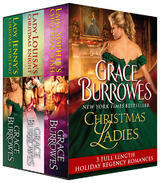 Book 3 of True Gentlemen, Grace Burrowes; gorgeous new Regency series. 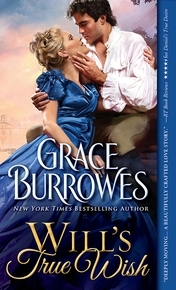 From New York Times and USA Today bestselling author Grace Burrowes comes another sparkling Regency romance filled with desire and drama. It's? A dogs life...? Will Dorning, as an earls spare, has accepted the thankless duty of managing his rambunctious younger siblings, though Will only true companions are the dogs he's treasured since boyhood. When aristocratic London is plagued with a series of dognappings, Will's brothers are convinced that he's the only person who can save the stolen canines from an awful fate. But the ladys choice...? Shy, bookish Lady Susannah Haddonfield has no patience with loud, smelly beasts of any species, but must appear to like dogs so as not to offend her sisters only marital prospect. Susannah turns to Will, an acquaintance from her most awkward adolescent years, to teach her how to impersonate a dog fancier. Will has long admired Susannah, though he lacks the means to offer for her, and yet as they work together to rescue the purloined pets, it's loyal, dashing Will who steals Susannah's heart.? True Gentlemen series: Tremaines True Love (Book 1) Daniels True Desire (Book 2) Will's True Wish (Book 3) Praise for Tremaines True Love: [A] fast-paced love story with nuances of humor and poignancy, astute dialogue, passion and sensuality RT Book Reviews, 4 ½ Stars, Top Pick! Burrowes's first True Gentlemen Regency is as thoughtful as it is romantic...The protagonists are brilliantly drawn, with plenty of romantic drama and witty repartee. -Publishers Weekly.